Oconee County planners told the county’s Planning Commission last week that they were recommending approval of Tony Townley’s request for a car museum on 11.1 acres surrounding by farmland only on the condition that it not include an events venue. The planners said that use of the land on Snows Mill Road at Cole Springs Road for public events is incompatible with surrounding land use and that the 151 parking spaces are sufficient for the Museum and existing office but not for events that could attract large numbers of visitors. Jeff Carter of Carter Engineering, who is representing Townley in the rezone request for what is being called the Eastville Car Museum, said Townley had held events on the property already, including a fundraiser, and parking had not been a problem. Carter said the facilities that will make up the museum could accommodate up to 1,000 people. Carter said if the county did not allow Townley to hold events on the site, Townley would withdraw the proposal for the car museum. The Planning Commission sided with Townley, voting 7 to 2 to recommend to the Board of Commissioners that it approve the Townley rezone and allow for events at the museum. Planning Commission members said that the problem of parking--and others such as the adequacy of the septic system and whether the buildings meet fire code–could be addressed as the project progresses. 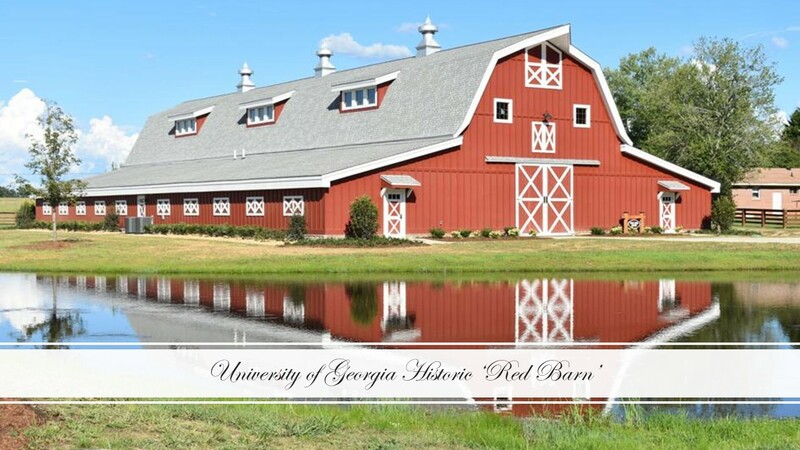 Carter, in his presentation to the Planning Commission on Monday (Sept. 17), focused on the improvements made to what had been the administrative center of the Plant Sciences Farm when it was owned by the University of Georgia. 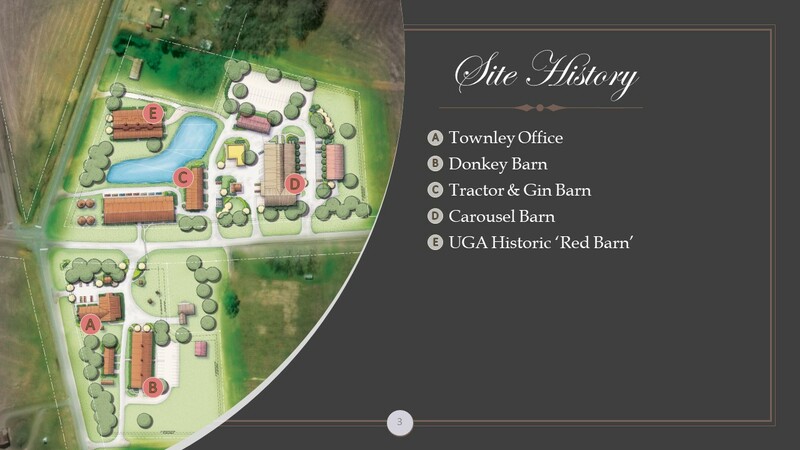 Carter said Townley purchased the farm in 2012. The sale was not final until Jan. 15, 2014, according to the deed submitted with the rezone. 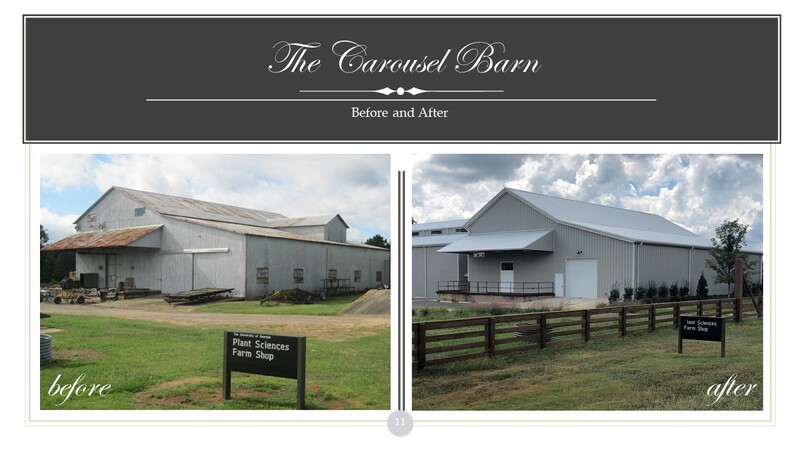 Carter showed a series of before and after pictures to indicate the improvements that Townley had made to the Townley Office, the Donkey Barn, the Tractor and Gin Barn, the Carousel Barn, and the Red Barn as well as site plans for the museum. The property was not purchased to be converted into a museum, according to Carter. Rather, he said, Townley used the buildings on the property to store his collection of automobiles, signs, and other artifacts. “Mr. Townley wants to share what he has accumulated with the county,” Carter said. Carter then turned to the events venue issue. “We feel like we want to be open with you and clear that we are going to host events there,” he said, indicating that he expected the events to include corporate meetings and fundraisers. Carter said he was not prepared to accept two conditions that the planning staff was recommending, one of which dealt with office space and the other of which dealt with leasing of the museum space. The staff recommended as a condition of approval of the requested rezone of the 11.1 acres from A-1 (Agricultural District) to OIP (Office Institutional Professional District) that the office use be limited to agricultural businesses and the museum and to the current 2,430 square feet of space in the designated office building. Carter said he wants to be able to use the entire 6,000 square foot building for office space and does not want it restricted to agricultural businesses and museum use. Carter said that Townley already operates businesses out of the space that are not agricultural. Gabriel Quintas, assistant director of Planning and Code Enforcement, told the Planning Commission the county had no idea what businesses are operating out of the existing space since it had never received any list from Townley. Carter said Townley did not initiate the discussion of an events venue but rather had been approached about the possibility by others. Carter said parking is not a problem. “We’ve had two or three events out there. Private parties. We had a fundraiser out there. There was several hundred people out there. And it absolutely was not a problem,” Carter said. Carter did not identify the fundraiser, but, in a post on the Facebook page of The Oconee Enterprise, Amy Argo Cowsert, wife of Republican Sen. Bill Cowsert, said that Cowsert held a Campaign Kickoff Fundraiser in the Carousel Barn on Aug. 25 attended by “well over 200" persons. “In terms of an event, there very well could be 1,000 people there,” he said. “We’ve been very clear from day one that there will be events at this facility,” Carter repeated. The planning staff, as a condition, stated that the buildings have to meet fire code for their new use. During the public hearing at the Planning Commission, Ben Bridges, 1450 Robinhood Road, outside Watkinsville, spoke in favor of the museum, praising Townley, one of the founders of Zaxby’s, for reinvesting in his community. Dennise Grayson, 1061 Grayson Lane, off Hodges Mill Road, read from prepared comments stating that she supported Townley’s proposal and asked that the two staff conditions be removed to allow for more office space and for leasing of the space for events. Stephanie Dawson, 1461 Snows Mill Road, complained that Townley erected a new bull pen 40 yards from her driveway. Dawson lives on five acres of land just southwest of the proposed museum that borders Townley property. Her concern with the proposed museum is that it will create more noise and traffic in what is an agricultural area. A rezone of the property for commercial use is a threat to the area, she said, for it will set a precedence for future commercial development in the area. Dan Dawson, who owns the property on which Stephanie Dawson and his son Britt Dawson live, also criticized Townley for construction of the bull pen so close to his property. He also raised a question about parking at the museum. “When these events happen, where is the parking at?” Dan Dawson said. “I didn’t see a parking lot anywhere up there,” he added, referencing the Carter presentation. Britt Dawson owns three tracts, each between 3 and 4 acres in size, that cut into Townley property and contain two poultry houses each. One is very close to the entrance to the proposed museum. Darryl Walker, who is married to Townley’s sister, Terry, and lives at 1120 Matthews Road, also owns property with his wife at 1421 Aycock Road. 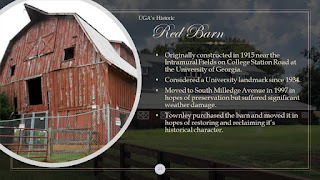 According to county tax records, the 1120 Matthews Road property is owned by Frazier Creek Investment LLC, a Townley Company based out of the office for the proposed museum. After a lengthy discussion involving Quintas, Carter and Planning Commission members, Member Chuck Hunt moved for approval. Hunt’s motion was revised a number of times. In the end, it allowed Townley to use all of his office building for whatever he wanted, essentially striking the condition on use of that space proposed by the planning staff. The motion also allowed Townley to hold events, again eliminating the condition proposed by the planning staff that would prohibit use of the museum for events. Voting in favor were: Maria Caudill, Mike Floyd, Hunt, Bruce MacPherson, Chuck Steen, Tucker and T.L. Turman. Against were Karen Hilyard and George Rodriguez. The Planning Commission recommendation goes to the Board of Commissioners for consideration at its meeting on Tuesday night (Oct. 2). If the Board of Commissioners approves the rezone, it will consider four special exemption variances at its Nov. 6 meeting, Guy Herring, Oconee County director of Planning and Code Enforcement, told me in an email exchange today. I asked Herring for an explanation of content of the four special exemption variances, but I have not yet heard back from him. As a standard component of zoning, applicants are asked to indicate if they have donated $250 or more to the campaigns of any elected county official. Townley reported that he donated $500 to the campaign of Commissioner William “Bubber” Wilkes on May 11, 2018. Wilkes was in a Republican Party primary contest at that time. He won and will be unopposed on the ballot in November. The Planning Commission voted unanimously to recommend approval of a request by Pinelake Campground LLC, 5630 High Shoals Road at Adams Road, to modify conditions for a Special Use for expansion of the campground set by the Board of Commissioners in May of 2017. The Board required Pinelake to construct a six-foot decorative masonry wall along SR186 right-of way abutting the Pinelake property to the north. 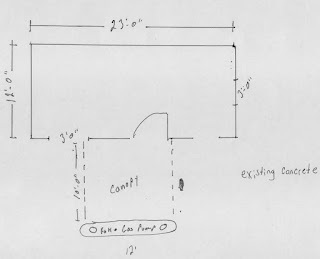 Quintas told the Planning Commission that the owner is in the process of constructing a landscaped, earthen berm to serve as the perimeter buffer in lieu of the decorative masonry wall along the northern property line. The staff recommends approval of the request to replace the masonry wall with the berm. No member of the public spoke for or against the change. Following the Planning Commission meeting and the discussion of the renovations of the buildings on the Townley property, I asked the County Planning and Code Enforcement Department for the permits issued for that work. Though Carter outlined extensive renovation of the two properties, in response to my request, the County Planning and Code Enforcement Department produced only six permits it had issued to Townley. The first permit was issued on Feb. 2, 2014, or just after Townley had purchased the property, and was for replacing a roof on a shed attached to one of the buildings on the tract north of Snows Mill road and adding a shed roof at the rear of the building. Total cost was listed as $50,000. The second permit was issued on Oct. 13, 2014. 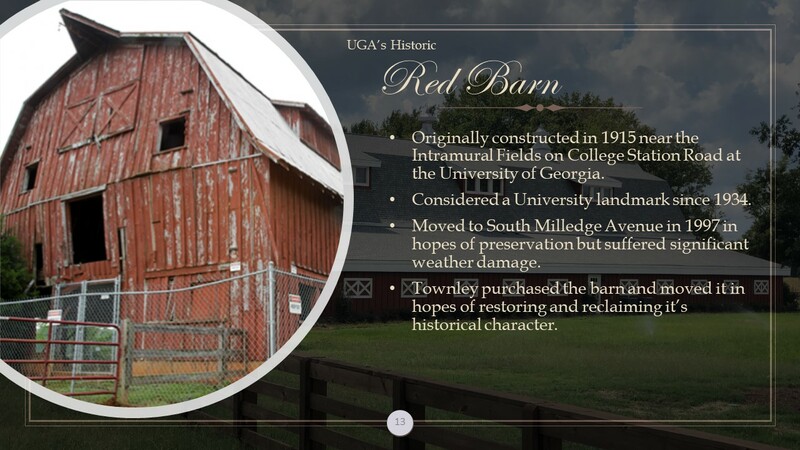 The permit does not specify the type of improvement, but the location on the parcel south of Snows Mill Road is consistent with the current location of the Red Barn. The total cost was listed as $100,000. 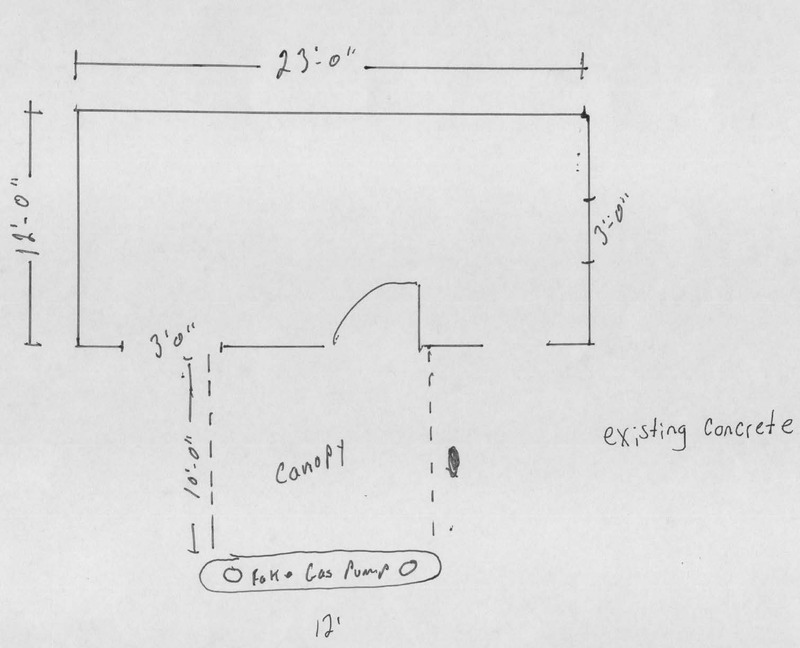 The third permit was issued on Feb. 3, 2016, and was for repair of a commercial building on the northern tract, including replacement of a flat room with a truss roof. Total cost was estimated at $50,000. The fourth permit was issued on Nov. 8, 2016, and was for construction of a canopy and “fake gas pumps” on one of the buildings on the southern tract. The cost was $30,000. The fifth permit also was issued on Nov. 8, 2016, and was for addition of a canopy on another building, also on the southern tract. Total cost was estimated at $40,000. The final permit was issued on Nov. 11, 2016, and was listed as a new 9,000 square foot barn, also on the southern tract. 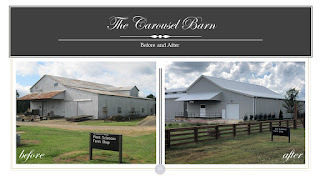 The submitted diagrams show this new structure as an attachment to an existing building and matches the design of what was labeled by Carter as the Carousel Barn. The total estimated expenditure covered by the six permits was $670,000. The video below is of the entire Planning Commission meeting. I attended the meeting, but Sarah Bell recorded the video. In constructing my account of the meeting, I focused on the key issues of use of office space and of the leasing of the property for events and did not follow exactly the actual chronology of the meeting. The discussion of the Townley rezone by Quintas begins at 1:40 in the video. Carter began his presentation at 6:10 in the video. Citizen comment began at 32:20 in the video. Carter responded to the citizen input at 45:13 in the video. The Planning Commission began its discussion at 45:50. Discussion of the Pinelake rezone begins at 1:38:28 in the video. OCO: PC 9 17 18 from Lee Becker on Vimeo. What makes anyone think the county will require the buildings to be re-permitted and retrofitted per codes? None of the other 4 event venues meet fire and safety requirements nor were they required to retro fit for safety. Cotton Gin, Hunter on Hwy53, McCarty's Antique Acres on Snow's Mill and Higgenbotham's on High Shoals Road. What is the common link? This is crazy, no assessment of sewage capacity for events with 1000 people! This should not be rezoned in the midst of an agricultural area. The planning commission members must be in awe of the name "Townley". Why have a planning staff when the planning commission ignores their recommendations? Why even have any county code requirements at all? There is no sewage capacity issue, the barns are on a septic system and with the amount of land he owns around that area he doesn't have a space constraint for additional field lines. The problem once again with the planning staff is that they have an antiquated set of rules to work off of, they only recommend based off of the existing UDC.. There should be some type of agribusiness / agritourism designation in the UDC. Where are all the NIMBY posters complaining about Washington Farms? They don't, they are way to happy to load up the rug rats and go to the petting zoo, corn maze, etc. There are a lot more cars and heavier use out there in an A1 zone. Also, when they county is assessing agricultural land upwards of $25,000 an acre in some areas, what do you think people are supposed to do? Anonymous, your post is a bit YIMBYistic. Perhaps you own property that could benefit from agribusiness/agri-tourism designation from a revised UDC. Who at Planning and Code Enforcement DOES know what businesses Townly is operating from this site, non-agricultural or otherwise, since the Planning and Code Enforcement assistant director does not? Considering there is a sign in front of the building I bet if you got out from behind tour keyboard for a minute it wouldn't be hard to figure out.